His story is one of Man versus Nature; it’s the clash of primitive man versus civilized man; it’s a dark fairytale - beauty and the beast; it’s a parable about man’s inability to return to Paradise. 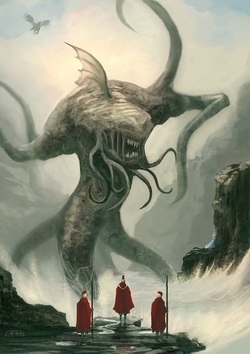 The Kraken from Greek mythology. He’s mythical (The Kracken); he’s archetypical (the creature of Nightmare). He’s the Gill-man; he’s the missing link; he’s an underwater stalker. 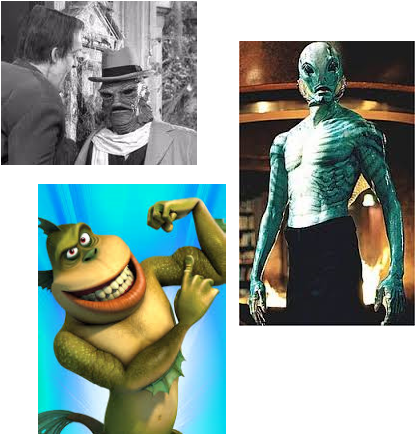 His descendents are Uncle Gilbert from the Munsters, Link (missing link) from Monsters V. Aliens, and Abe Sapien from the Hellboy comics. 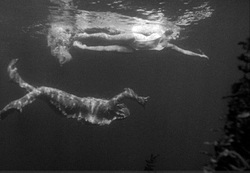 Left: Ricou Browning played him in the water. Right: Ben Chapman played him on land. It took two men to play him! 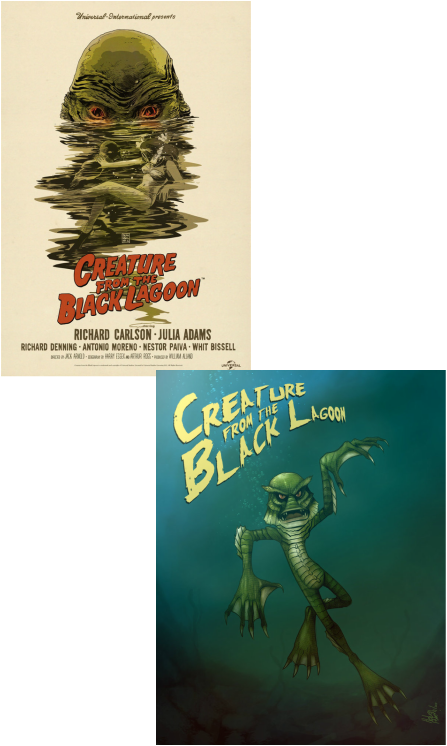 He’s The Creature from the Black Lagoon! And he’s awesome. 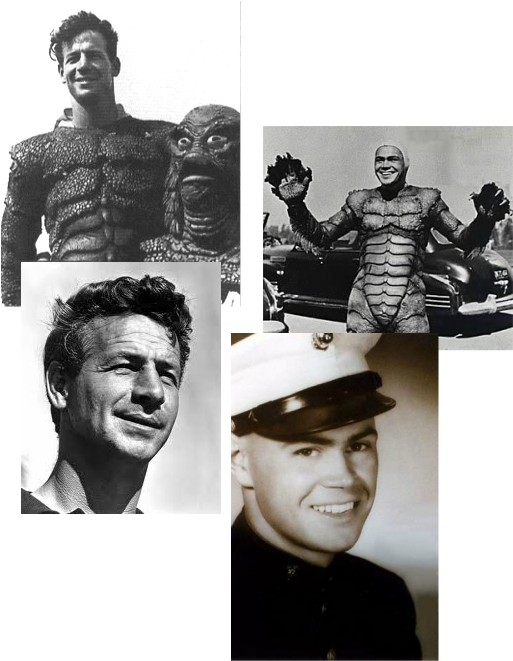 He spawned three movies originally: The Creature form the Black Lagoon (‘54), Revenge of the Creature (’55), and The Creature Walks Among Us (’56). You could say he had a busy three years! There was talk for years about a remake, but not until The Mummy reboot in 1999 did the studio really take it seriously. Now it’s supposedly a go for May of 2014, and it’s being called simply Black Lagoon. I could talk all day about this creature, but I need to link this to literature and we’re going to do that by discussing the term TENSION. 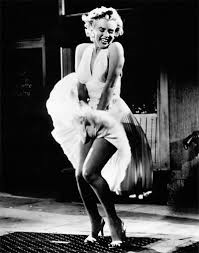 Tension in movies is a sense of heightened interest or excitement an audience experiences as the climax approaches and all the elements in play come together. In literature, it’s when opposites are unbalanced challenging unity and form. Usually this happens when literal and metaphorical meanings clash. It also happens when what is written clashes with what a text implies, when the serious clashes with the ironic, or when there exist contradictions in a text which the reader has no help working out by the author. This causes a kind of unbalance to the equilibrium of opposites and the reader feels it. In CFTBL, we get both movie and literary tension. The captain of the ship the Rita which is carrying the scientific expedition refers to the Black Lagoon as a paradise. Well, mankind was kicked out of Paradise due to setting himself above the rules God laid down for them. Man in narrative always seems to be putting himself above the rules. We see that here in the differing opinions of the two scientist, Dr. Reed (there to study and learn) and Dr. Williams (determined to bring back the creature at all costs). Science is depicted as a destructive force in this film. Dr. Williams has no desire to capture the creature. He’d rather kill it and drag it back for his own glory. While Dr. Reed takes the opposite view, that they should capture it and take it back for study. The problem is that they have set their goals above those of the natural order. What they, the scientists, want is the only goal reasonable to them. The creature, however, has his own goals and they are playing on his turf, so to speak. The continued pursuit of their goals brings about an inevitable confrontation. The tension is built as they discover the Creature’s grotto. 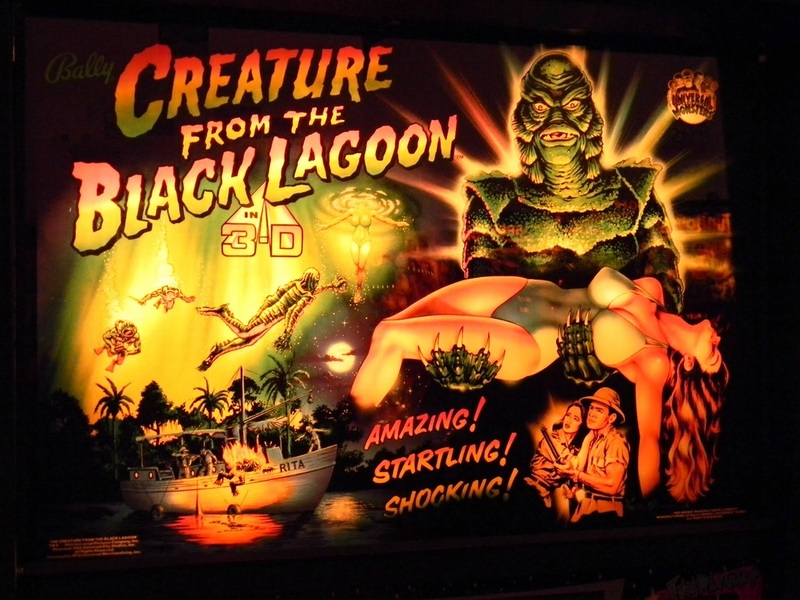 If this is Paradise, then it’s a dark one indeed and if Kay and Dr. Reed are the Adam and Eve figures, then the Creature is one imposing reptile. Except the seduction of temptation is reversed. It is the female that is tempting the reptile into something forbidden – an interspecies mating. 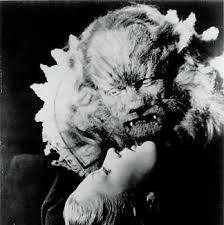 Tension is built until the climax at the end when the Creature is shot repeatedly. Dr. Reed shows mercy by stopping the gun fire and allowing the Creature to return to the water. It allows only seconds of denouement. 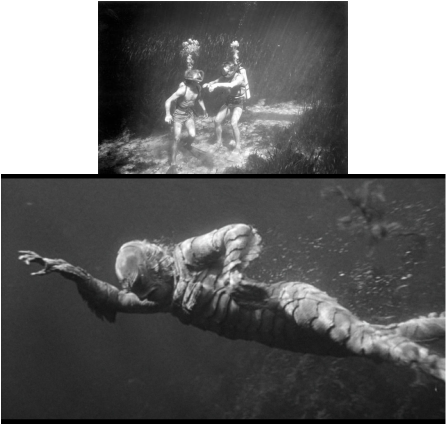 The interesting thing for me was the Creature was actually played by two actors, on land was Brian Chapman and in the water (in some spectacular stunt fighting and swimming) by Ricou Browning. The two sides paralleled the two scientists well, as the Creature on land was more menacing and under water was more graceful. This remains one of my favorite films (even thuugh it scares my awesome friend Tim!). I saw it first as a college student in Athens, Georgia and I got to see it in 3-D. It was my first 3-D movie ever and I was hooked.